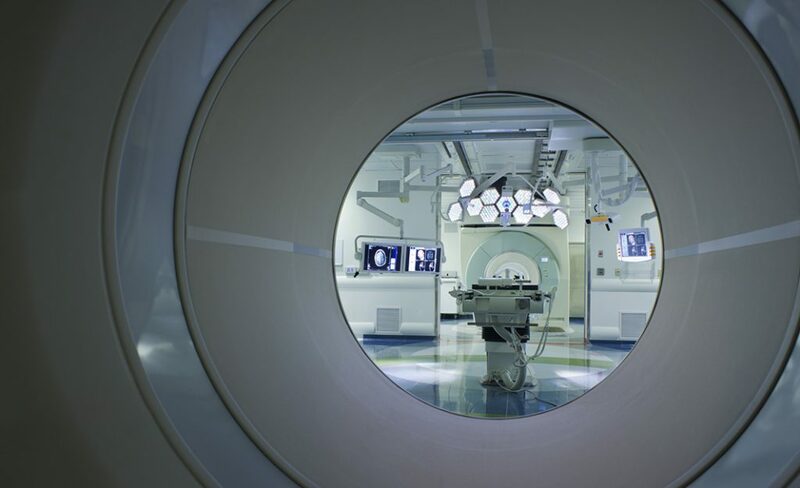 In this groundbreaking clinical research facility, an operating room is linked to adjacent imaging suites, enabling the patient to remain in place while the machines—including a 33,000-pound MRI—move from one chamber to another in the midst of a surgical procedure. 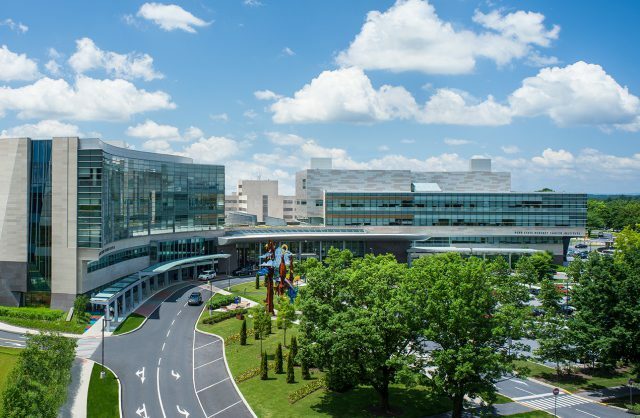 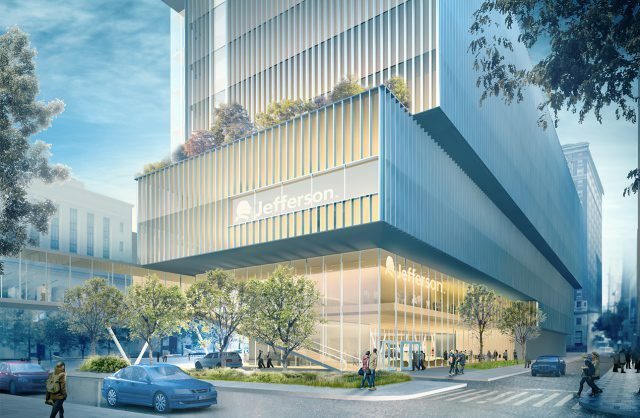 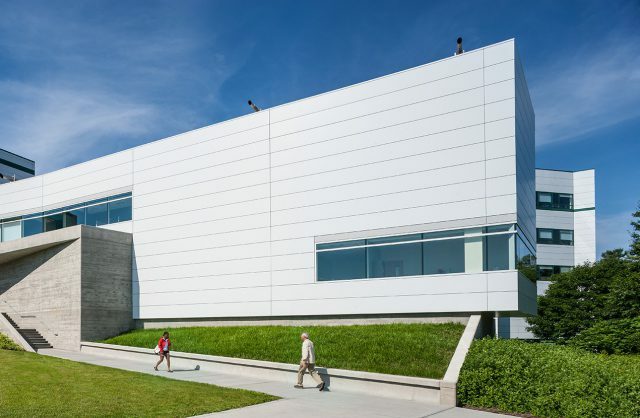 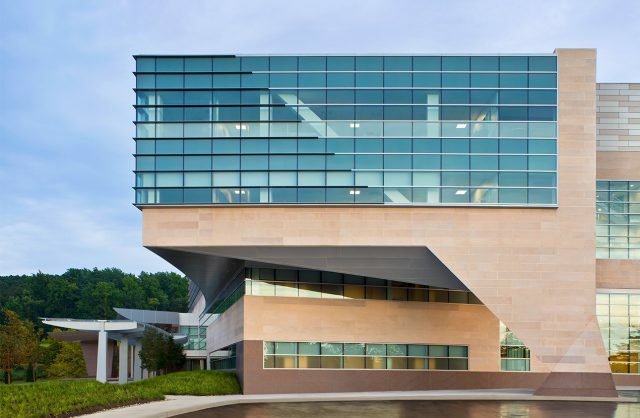 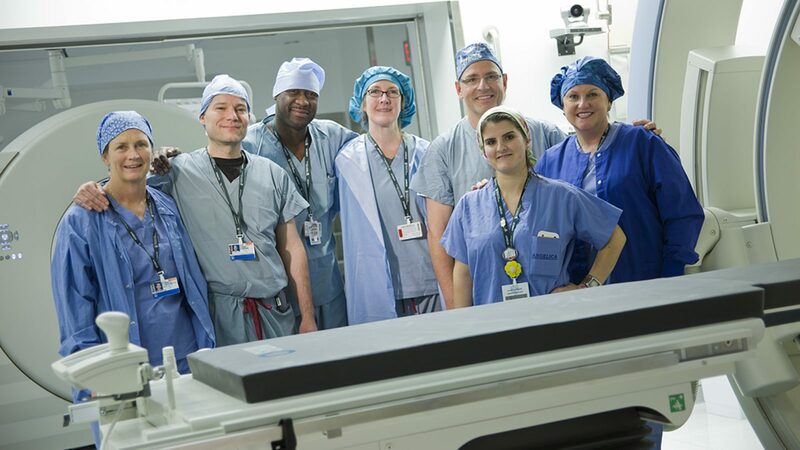 Enhancing the capabilities of one of the nation’s premier hospitals, the suite provides clinicians and researchers new opportunities for improving surgical techniques and developing new clinical methodologies. 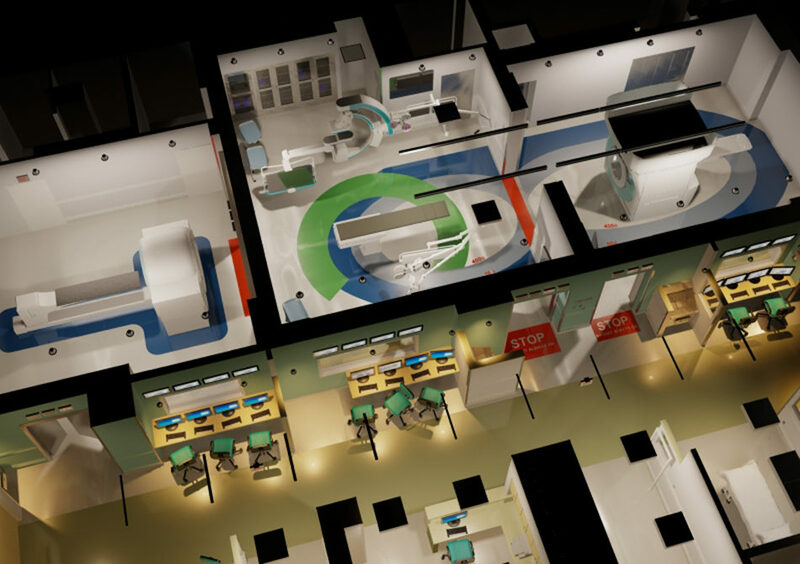 A Higher Vision for the O.R. 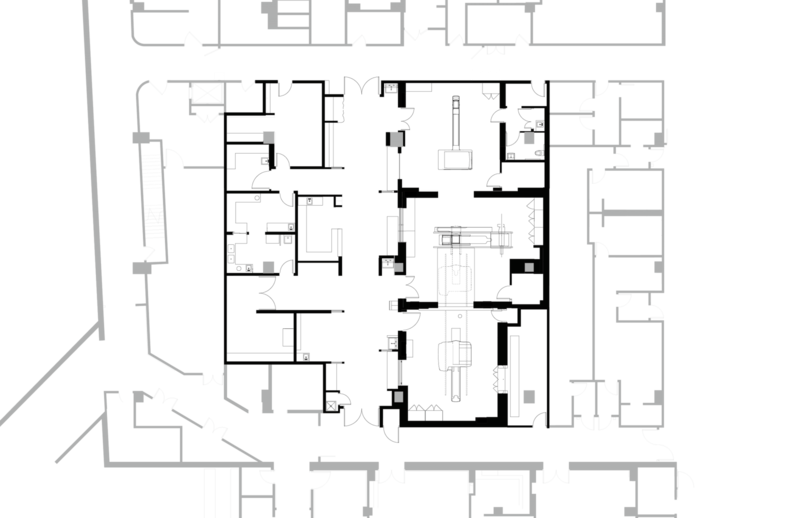 Fitting the complex technology within a tight space with limited access and clearances required an unprecedented degree of coordination and innovation. 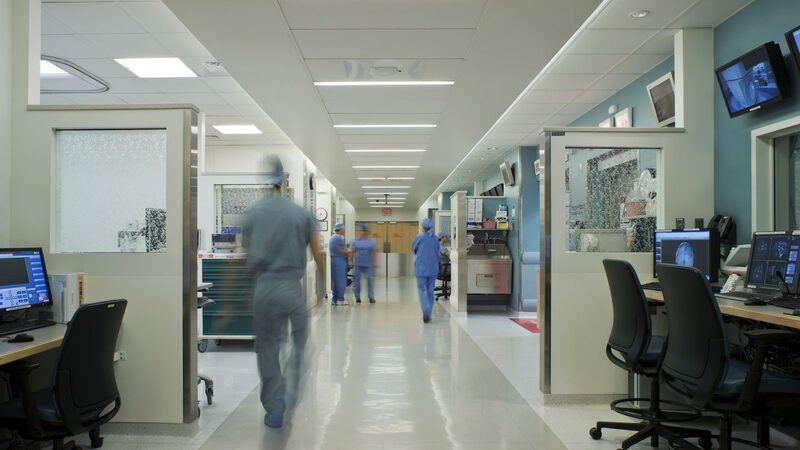 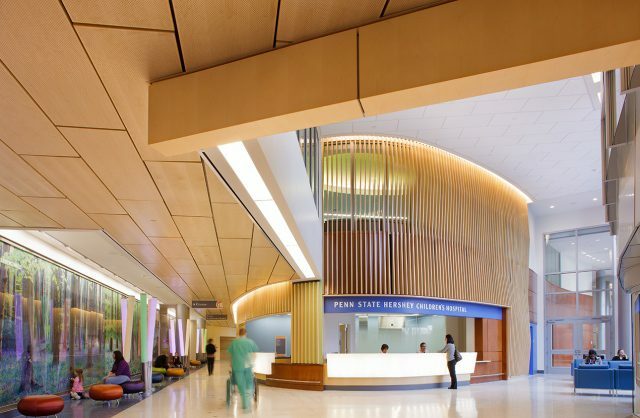 Required infrastructure is deftly concealed behind walls and above ceilings, out of the way of critical patient information displays. 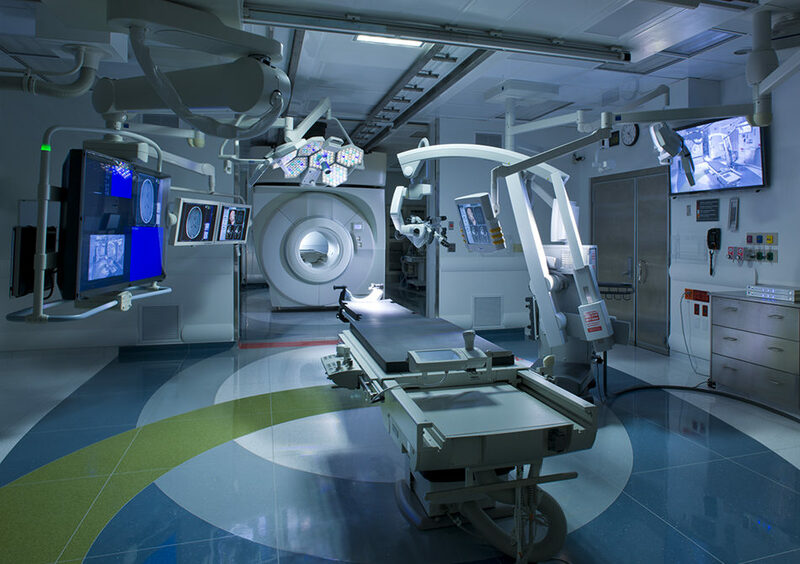 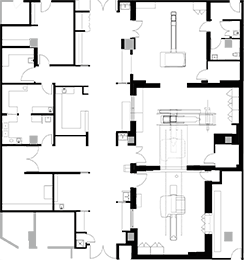 The MRI glides in on an overhead track, as monitors, anesthesia equipment and lights swing aside to clear its magnetic field, and the patient and room are ready for imaging. 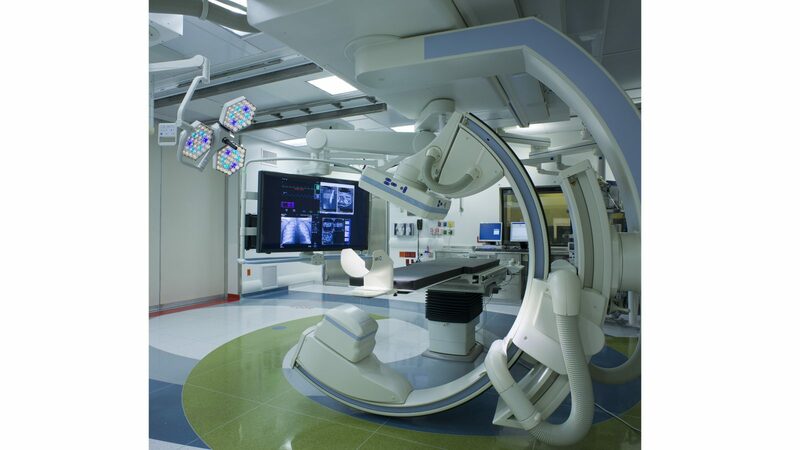 For other procedures, such as angiography and PET/ CT imaging, the operating table can be rotated or extended. 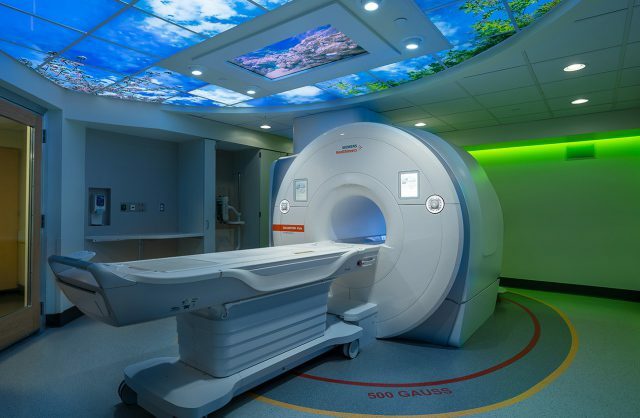 The kinetic qualities of the suite are captured on the floor, where the arc of the operating table’s rotation and the limits of the magnet’s Gaussian surfaces are colorfully inscribed. 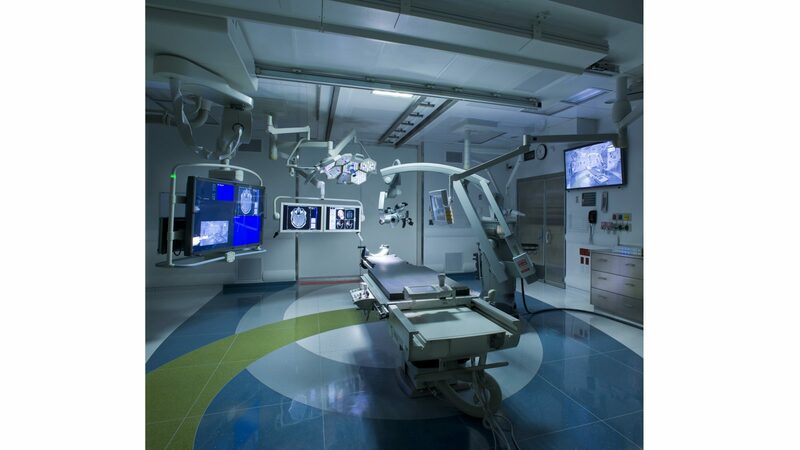 In addition to the clinical platform, the suite is a laboratory for groundbreaking research for diverse teams of surgeons, clinical staff, radiologists, researchers and bioengineers. 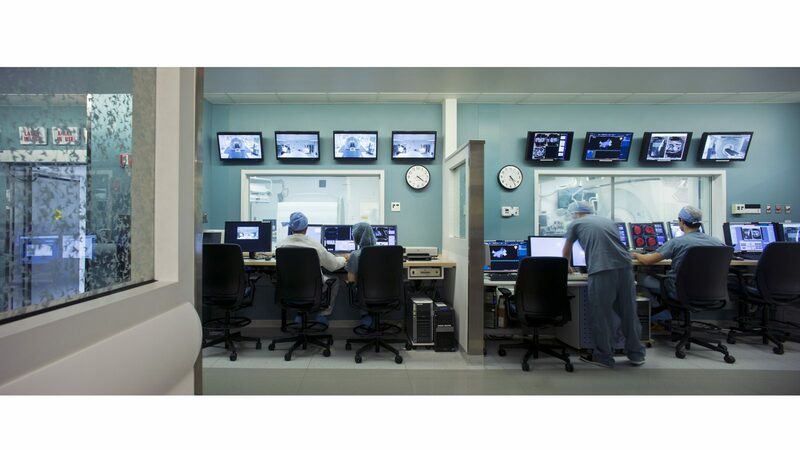 It is a true operating theater, where the ability to observe, both immediately and remotely, is paramount. 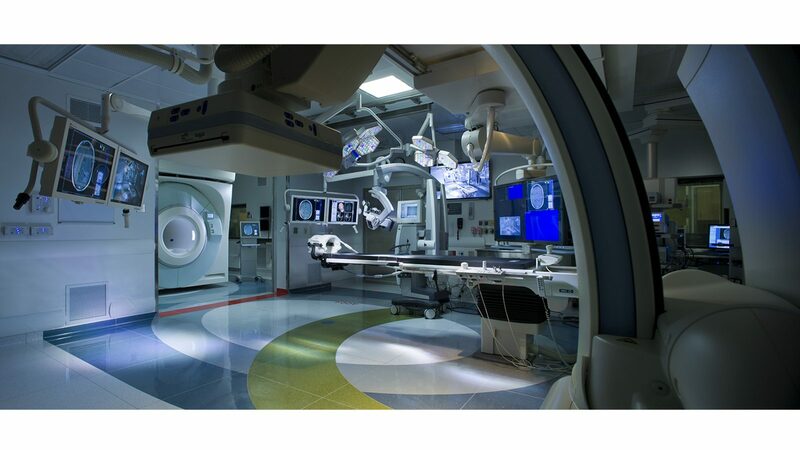 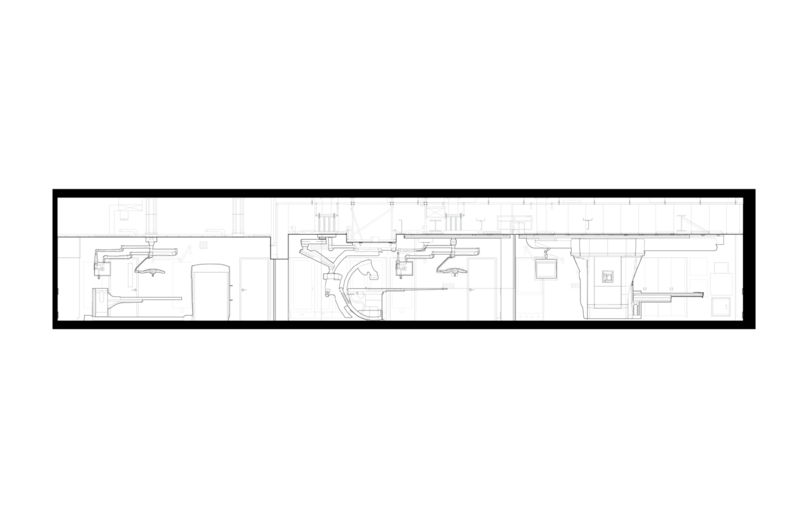 Building an operating suite of this complexity is unprecedented … Never before has a project involved so much design planning around surgical suite safety.